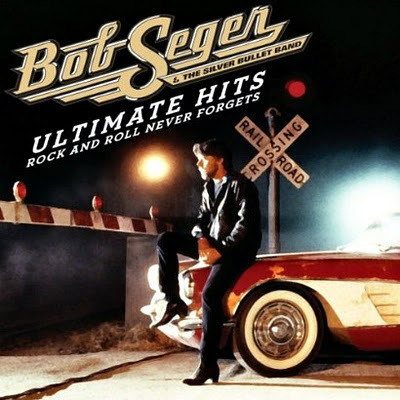 For casual fans who don’t already own both volumes of Bob Seger & The Silver Bullet Band’s Greatest Hits, this week sees the release of a worthwhile alternative in the two-disc retrospective, Ultimate Hits: Rock and Roll Never Forgets (Capitol Records). Unlike the Greatest Hits sets, this one includes classics like the original mono version of “Ramblin’ Gamblin’ Man” by the Bob Seger System and the Live Bullet double shot of “Traveling Man” and “Beautiful Loser,” which once and for all should've been mixed into one track as God and rock radio always intended. What is perhaps most striking about this set, though—and this speaks more to Seger’s indelible impact on American music than it does anything else—is that at 26 tracks it still doesn’t cover all the hits. Though while a case could be made against one or two dubious inclusions—How did his rendition of “Little Drummer Boy” make the cut here, for instance, but not “Sunspot Baby?”—overall this retrospective is solid, like a rock.